Last night I had the kitchen to myself while Scott was sailing so I definitely was inspired to experiment with a new recipe. The days and evenings have been warm so I was drawn to recipes with citrus flavors. I came across Chicken Francese with a Grapefruit and Tarragon sauce so I decided to make a play on that. Too get pumped up for my evening in the kitchen I decided to bust out a Lyft Stick to my beverage of choice. 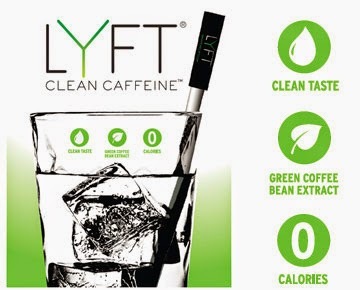 Lyft can be stirred into any cool beverage and will kick up your energy a few notches when you need to get stuff done. They are easy! I had the perfect beverage on hand to get "Lyfted"! 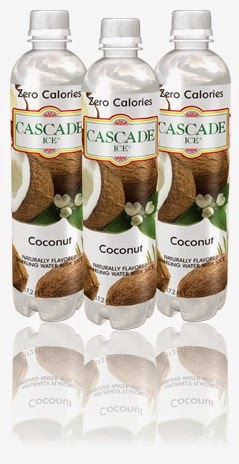 Cascade Ice sent me the cutest package in the mail containing Cocunut, Mango Coconut and Pineapple Coconut Sparkling Waters. They even included little adult beverage recipes that can be used as no calorie mixers for fun summer drinks! I loved it. But this evening all I wanted was a cold Coconut sparkling water and it delivered. My favorite is the straight Coconut so think of me and grab one off the shelf when you see one in your local grocery. 1. Create your dredge station for the chicken. Flour first and then the 3 eggs mixed up in a shallow container. 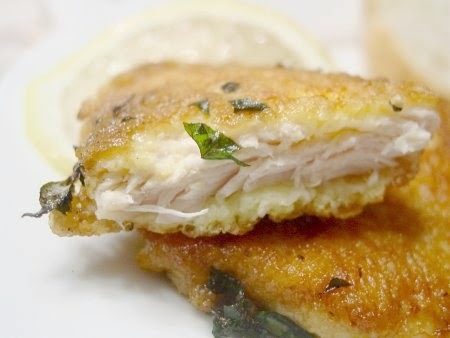 The thin, pounded chicken breasts should be seasoned with salt &pepper and then go in flour first and eggs second. 2. Two Tablespoons of olive oil will be enough to coat your frying pan to cook the chicken, make sure oil is hot before putting in dredged chicken. Three minutes on each side or, obviously until cooked all the way through. If you are a Nervous Nelly, use a meat thermometer or something. 3. Once chicken is cooked set aside on a platter. 4. Pour in chicken stock and scrap up the browned bits from pan, two minutes of cooking is perfect. Then mix in wine and let it play in the sauce for at least a minute. 5.The recipe I was following asked for segments of grapefruit at this stage and I was not feeling it so I just used the juice of one lemon. Squeeze it in the lemon as well as your tarragon. Your butter will be added at this point and let it melt in smoothly rounding out your sauce. 6. Plate up your chicken and pour desired amount of sauce over the plate. You could easily serve this up with any noodle, rice or potato but we just ate it protein style last night. It was enjoyed with a nice glass of Joel Gott Sauvignon Blanc, I highly recommend!